Research the retinal conditions we diagnose and treat to learn about their symptoms. Understand the various retinal diseases that can affect children and adolescents, and learn how to treat them. Read about the outpatient surgical procedures we offer to treat retinal conditions and what to expect. Research the nonsurgical options to treat retinal disease and how they can delay surgery and reduce symptoms. Read about the state-of-the-art diagnostic tools and tests we use to accurately diagnose retinal disease. Learn why Dr. Kaushal is so passionate about the retina and the continued research and development he is involved with. Comprehensive Retina Consultants, directed and led by g raduate of Yale University and Johns Hopkins School of Medicine and board-certified retina surgeon Dr. Shalesh Kaushal, a is a leading vision practice dedicated to the health of the retina. Serving the communities of The Villages, Leesburg, Tavares, Ocala Inverness, and Citrus County, our retina practice treats patients from across the United States as well as locally. Dr. Kaushal is passionate about retinal disease and returning the quality of life back to his patients he believes they sincerely deserve. Through compassionate, dedicated, skilled care, Dr. Kaushal and his team use the most advanced vitreoretinal technology blended with a unique approach to treatment for optimal success. According to Dr. Kaushal: "It is an honor and a blessing to work with my patients." Our board-certified retina surgeon, Dr. Shalesh Kaushal, has spent his entire career specializing in vitreoretinal disease. Honored with the prestigious Castle Connolly "Top Doctor" Award, Dr. Kaushal is considered one of the foremost authorities on retinal disease including macular degeneration, diabetic retinopathy, and other retina-related disorders such as detachments, tears, and uveitis. A graduate of Yale University and Johns Hopkins University, Dr. Kaushal offers a unique, innovative approach to diagnosing and treating retinal diseases, so he can uncover the underlying root as to why his patients have symptoms and their specific conditions. He is then able to treat the disease accurately using advanced technologies for optimal outcomes. Dr. Kaushal has trained and practiced around the world, but transitioned back to Florida in 2013. He continues to be involved in ongoing research and development regarding all clinical aspects of retinal disease, and has been the first in the world to use new drugs in retinal care. He is the best there is he has treated me for almost a year.I don't mind waiting when I have the best doctor and he's out for my best interest and I've never had to wait more than 30 minutes so he's just an awesome doctor he's worth the wait trustI me ?? Dr Kaushal is highly knowledgeable and personable. I have trusted my vision to his excellent care for many years. 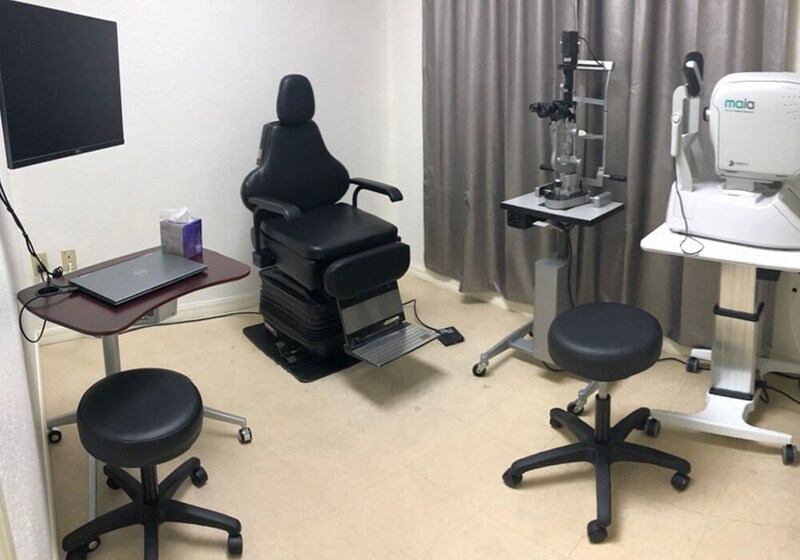 Excellent, Caring Doctor - I have seen a lot of eye doctors due to my diagnosis, but Dr. Kaushal is one of the most knowledgeable, as well as one of the most caring. He takes time to answer all my questions and genuinely cares about my treatment and outcome. Five Stars - Dr. Kaushal is phenomenal. Would never see any other doctor. Comprehensive Retina Consultants is a leading retina practice directed by a seasoned, skilled surgeon and an outstanding, dedicated staff. We offer the latest advancements in retina care from state-of-the-art diagnostics to innovative surgical care that result in lasting outcomes. With a mission to treat every patient like family, we walk with you during your journey toward healing and health. Learn more about our practice and make an appointment today to meet Dr. Kaushal and our remarkable team. Meet Dr. Kaushal and see why patients from all over trust him with their eyes. Research our advanced procedures and learn what we have to offer. Learn more about our state-of-the-art facility and where we are located. Understand the various conditions and diseases of the retina.